Thinking of selling my wedding cheongsam, any #dayrebrides keen?It was custom made to my petite figure (152cm) with a small train and simple back. 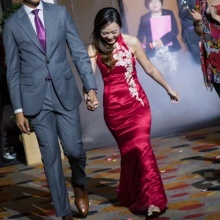 We didn't have a professional photographer at our wedding banquet so I can't find many good photos! Join our community! Download the app, and get updates from atthechias. Remove this bar by logging in.